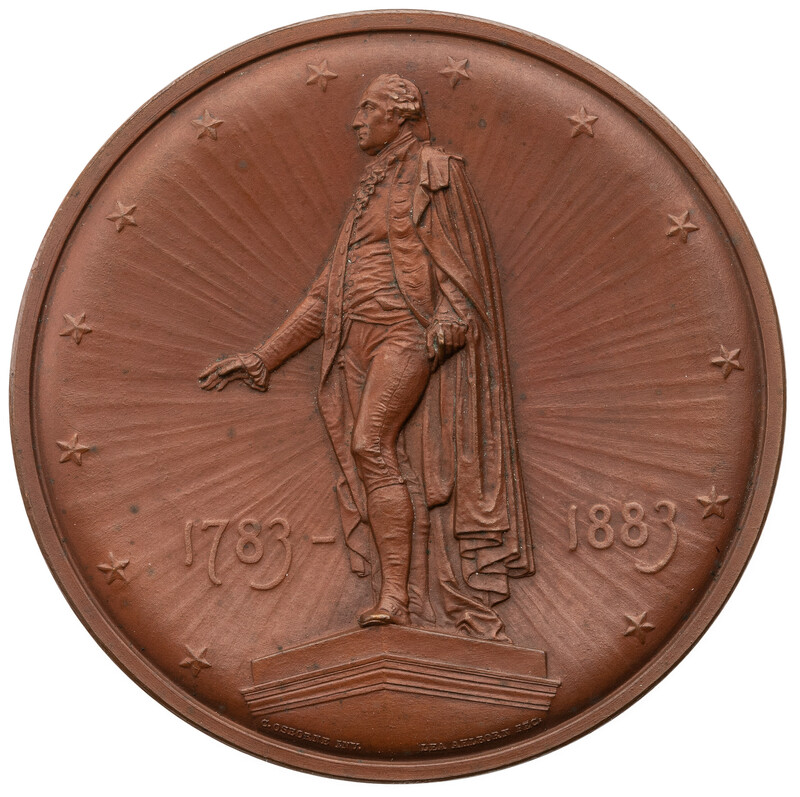 Obverse: 1783 -- 1883 - Full-length statue of Washington surrounded by rays of light and a circle of thirteen stars; on either side are the dates 1783– and 1883. The medal is signed below the pedestal, C. OSBORNE INV. LEA AHLBORN FEC. 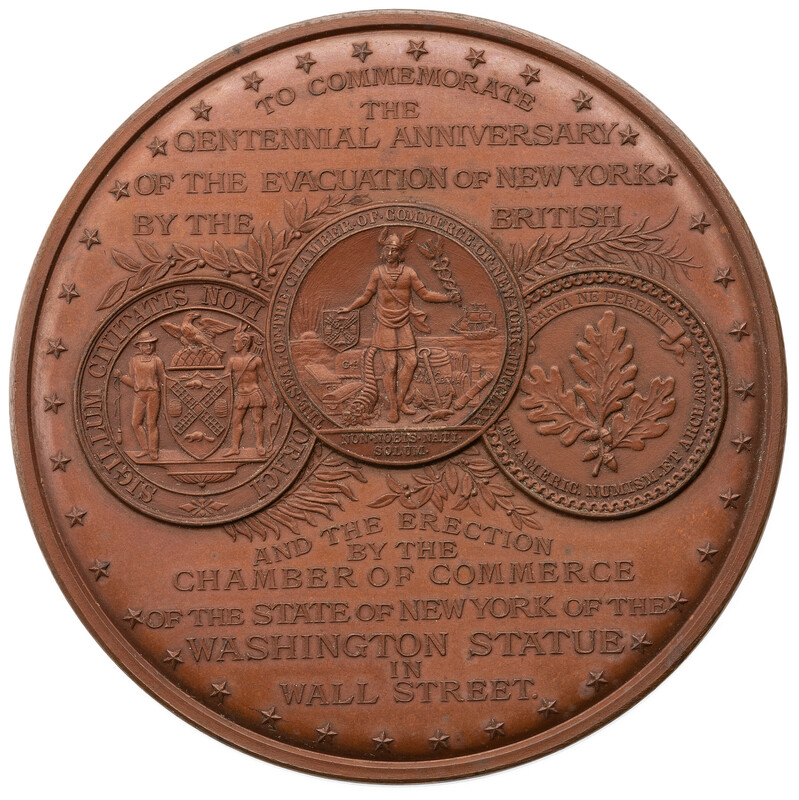 Reverse: TO COMMEMORATE / THE / CENTENNIAL ANNIVERSARY / OF THE EVACUATION OF NEW YORK / BY THE BRITISH / AND THE ERECTION / BY THE / CHAMBER OF COMMERCE / OF THE STATE OF NEW YORK OF THE / WASHINGTON STATUE / IN / WALL STREET - The seal of the New York State Chamber of Commerce flanked by those of the City of New York and the American Numismatic and Archaeological Society; above and below is a twelve-line inscription surrounded by 38 stars.